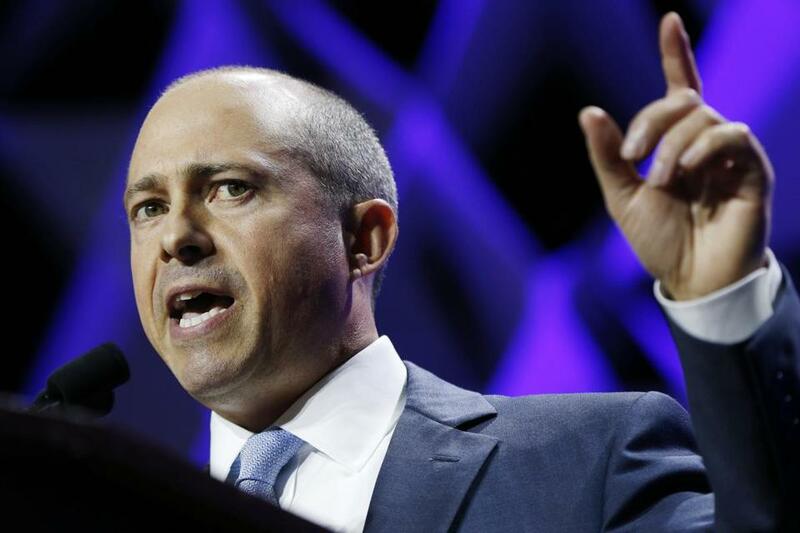 Candidate for governor Jay Gonzalez speaks during the 2018 Massachusetts Democratic Party Convention in June. On Thursday, he may have aimed a little too, um, high, calling into WEEI’s Kirk & Callahan Show — hosted by Kirk Minihane and Gerry Callahan — and quickly sounding as if he regretted trying to tangle with the pugnacious hosts whose politics seem a long way from the Needham liberal. After a discussion of Governor Charlie Baker’s reversal Monday, deciding not to send the Massachusetts National Guard to the Mexican border, the chat turned to other topics, including more historical matters. “Do you think Trump is like Hitler?” Callahan asked Gonzalez in the 9 a.m. hour of the popular talk radio show. “I would call it anti-illegal immigrant,” Callahan chimed in. Then Callahan got back to the question at hand. “I’m sorry. I do think what?” asked Gonzalez, who sounded like he was calling in from a cell phone. Ah, yes. The ol’ Hitler-to-Trump-to-Charlie Baker pivot. A recent poll found the Republican led Gonzalez by 40 percentage points in a head-to-head matchup. Both candidates face primary opponents on Sept. 4.